Over the past 20 years, Master Spas has built a reputation for innovation that goes beyond just our products and features. The innovative spirit of Master Spas permeates every aspect of our company. Most importantly, our hot tubs and spas aren’t just "made," they’re Master Crafted. Every one of our hot tubs and swim spas are made in the USA. Each design is quality engineered to the highest standards and designed for quality and reliability. Our hot tubs have smart, innovative design features that deliver powerful, soothing hydrotherapy and enhanced relaxation. And then there are the Master Crafted advantages you don't always see or think about—but make a huge difference. 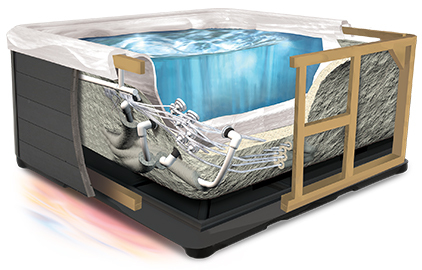 These include advanced hot tub insulation, filtration methods and heating systems, along with the extra steps that we take to ensure that our spas are easy to maintain and reliable, offering outstanding performance now and for years to come. 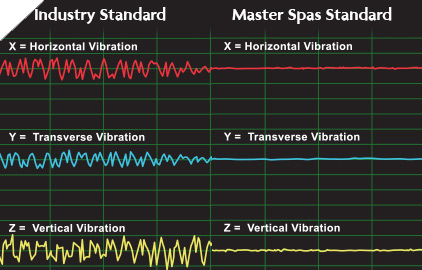 At Master Spas, quality is more than just a 100-point, multi-part inspection process that includes water testing of every hot tub and spa. It’s more than the added cost of using only premium components from the industry’s most trusted suppliers. For us, quality is a way of life and a state of mind that is woven into everything we do. The Master Crafted process starts long before manufacturing with our unique approach to design that ensures we understand our customers’ current and evolving needs. This knowledge allows us to design and innovate based on both existing and emerging needs, always staying one step ahead and bringing new advances to market first. 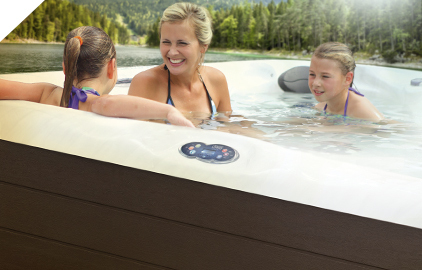 The NRS is a Master Spas innovation that reduces pump and motor vibration by 153% when compared to the industry-standard mounting system, making it even easier to find your quiet place. Our exclusive hot tub cabinet is made of high-impact, weather-resistant polymer. The authentic wood grain patterns are etched in for a rich, three-dimensional look. The material also ages well with virtually no fading or color change. Not only is it aesthetically pleasing and easy to maintain, it also comes with a lifetime warranty. 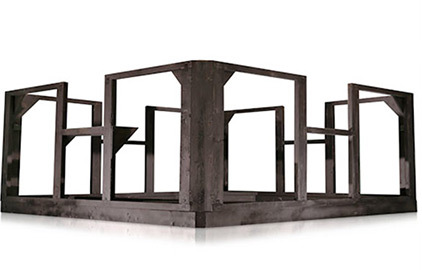 Every hot tub starts with a heavy-duty 2x4, engineered frame that is specially coated to reduce moisture absorption. Our hot tub frames are further reinforced and protected with a vac-formed, high-density polymer base that is engineered to keep the heat in and unwanted pests and moisture out. A vac-formed pan bottom is standard on all Legend Series hot tubs and can be added as an option to most other models. Fiberglass reinforcements add strength and durability to the hot tub where the frame meets the acrylic shell. This reinforces the shell and helps prevent damage. We use a manifold hot tub plumbing system to ensure water pressure is equally distributed to the jets. In addition to supplying uniform water pressure, manifold systems offer better control over where the water is directed and are easier to repair than traditional hot tub plumbing systems.